Why Are These Four Stocks Gaining Ground on Monday? The major indices have lost over 1% so far on Monday, but several stocks are making big moves in the opposite direction, registering significant gains fueled by positive developments. 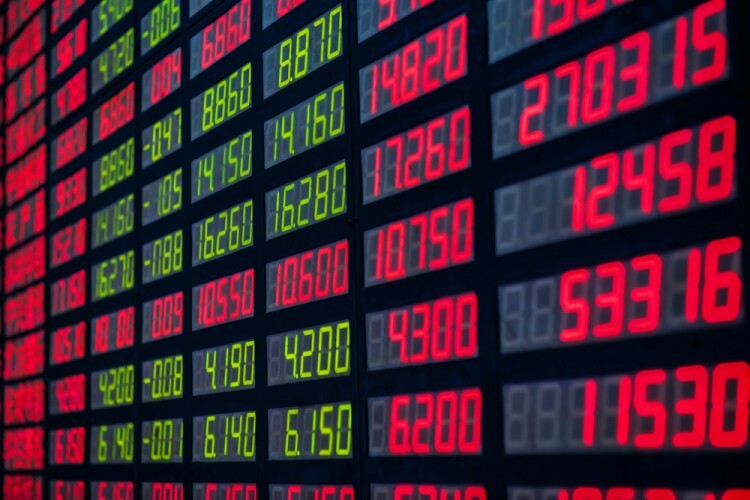 Among the market leaders, Iconix Brand Group Inc (NASDAQ:ICON), Relypsa Inc (NASDAQ:RLYP), Impax Laboratories Inc (NASDAQ:IPXL), and XOMA Corp (NASDAQ:XOMA) are trading significantly higher today. Let’s take a closer look at these stocks and the news that sparked their upward trend. In addition, we will take a look at the smart money sentiment toward these four stocks, which could serve as a predictor regarding their long-term profitability. These funds usually invest large amounts of capital, which is why they spend considerable resources in their research process. The focus on the long-term horizon is what makes these investors perfect to emulate. On average, imitating the 50 most popular stocks among smart money investors slightly underperformed the market in our backtests. On the other hand, following these funds into their best small-cap ideas can beat the market by double digits each year. Our strategy follows the 15 most popular small-caps among over 730 funds and it has returned 102% since August 2012, outperforming the S&P 500 ETF (SPY) by around 53 percentage points (see more details here). Let’s start with the top gainer, XOMA Corp (NASDAQ:XOMA), whose stock has surged by over 37% so far today and seems to be heading even higher. Today’s gains have offset the 29% drop on Friday on the back of weaker-than-expected financial results for the third quarter. The company posted a flat profit for the quarter, compared to a loss of $0.17 per diluted share reported a year earlier. However, its revenue declined to $2.07 million from $5.14 million. On the back of the results, Piper Jaffray and Jefferies Group raised their price targets on XOMA Corp (NASDAQ:XOMA) to $1.80 and $1.50 respectively, but maintained ‘Neutral’ and ‘Hold’ ratings. Factoring in today’s growth, XOMA Corp (NASDAQ:XOMA)’s stock is 65% down year-to-date, but the funds from our database are bullish on the stock, with 30 investors holding over 31% of the company at the end of June. Iconix Brand Group Inc (NASDAQ:ICON)‘s shares have appreciated by more than 13%, which also helped the stock to recover from the 57% drop on Friday, which came on the back of the announcement that the company plans to restate some of its historical financial statements and the disclosure of preliminary results for the third quarter and guidance for the full year. Iconix Brand Group Inc (NASDAQ:ICON) posted a net loss of $0.13 per diluted share, compared to a profit of $0.58 a year earlier. However, the non-GAAP EPS of $1.10 were substantially above the $0.52 expected by analysts, while revenue of $88.94 million, declined by 19% on the year, and was below the estimates of $105.67 million. For the current and next year, Iconix Brand Group Inc (NASDAQ:ICON) expects non-GAAP EPS in the ranges of $1.35 to $1.40 and $1.35 to $1.50 respectively. Among the investors we track, 18 held stakes equal to 15.70% of the company in aggregate at the end of the second quarter.